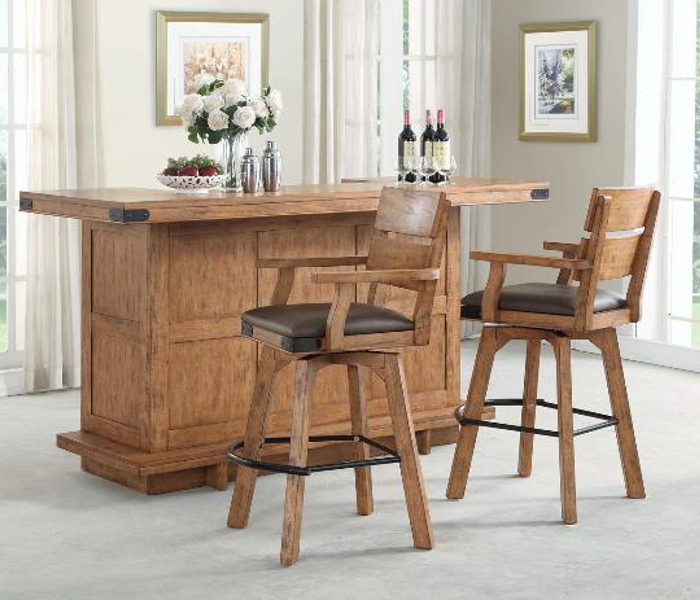 Heavily distressed Bar in a lighter finish with metal corner applications. 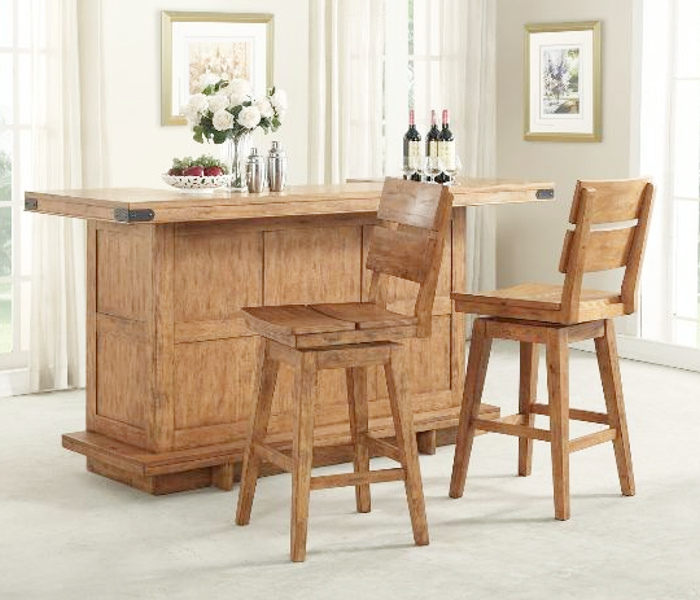 Wooden foot surround, wine rack, full extension drawer and large bar tending working surface. 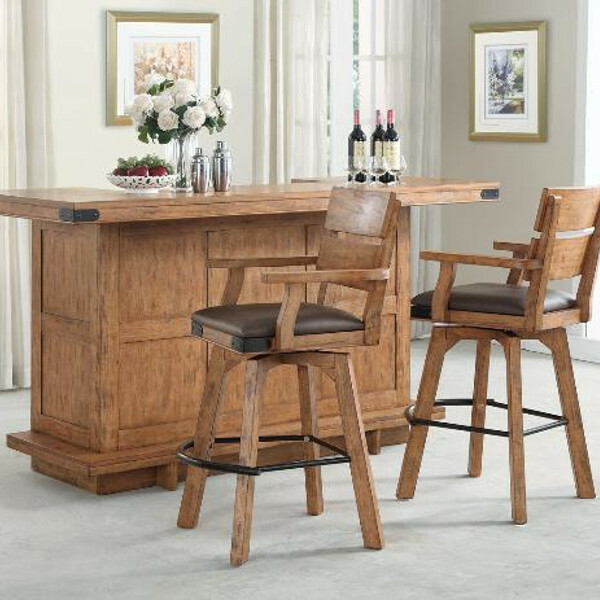 Stools feature memory returns. SBS stool includes bonded leather seating with elongated metal foot rest for extra comfort.